In April 2016, in the biggest data leak in history, 11.5 million documents and 260 GB of internal information from the global Panamanian law firm, Mossack Fonseca, was obtained by an anonymous source at the German newspaper Süddeutsche Zeitung. 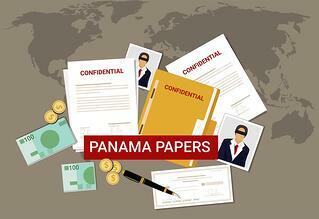 The paper shared them with the International Consortium of Investigative Journalists (ICIJ) which, in turn, released the information, known as the Panama Papers, to their network of international media partners. This was big news at the time because of the number of politicians and famous names behind these companies. 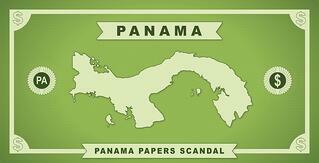 The documents reference 12 current or former world leaders, as well as 128 other politicians and public officials. One year later, there have been almost 150 audits, investigations, prosecutions and arrests spread across approximately 80 countries. An estimated $135 billion was wiped off the value of nearly 400 companies. Governments are investigating more than 6,500 taxpayers and companies, and have recouped at least $110 million so far in unpaid taxes or asset seizures. These investigations will continue for years to come. So, in the intervening year, what progress has been made so that people cannot hide behind anonymous offshore companies to conceal their wealth and avoid taxes? After the Panama Papers, the European Union (EU) set up a special committee to examine the root and the scale of the problem (this work is ongoing). Additionally, the EU is in the midst of a two-year window to negotiate the implementation of their fourth Anti-Money Laundering Directive with its member states. As a result, the EU member states are adopting a revision to the fourth Directive to move towards central registers listing information on the ultimate beneficial owners of corporate and other legal entities, including trusts. Information on additional amendments to the Directive post-Panama Papers is here. In addition, several governments at the anti-corruption summit in London in May, 2016, such as Germany, Norway, Netherlands, France, Afghanistan, Nigeria and Ghana committed to set up public registers of the beneficial owners of companies. The U.K. already has the Persons with Significant Control (25% ownership or significant control) register. It should be noted that one of the amendments for the EU 4th Directive is reducing the 25% threshold in the definition of Beneficial Ownership to 10%. A number of non-governmental organizations have also banded together, with initial funding from the Department of International Development (U.K.), to form OpenOwnership, whose goal is to create global registry of corporate beneficial owners. This is currently searchable by the public in beta phase and can be found here. So much has been done that is positive but unfortunately, this road to full public transparency is one less traveled in the world of offshore tax havens. Despite the new rules in the U.K. allowing for a public register of beneficial ownership, the U.K. crown dependencies and territories have been spared the obligation. More than half of the companies implicated in the Panama Papers are registered in these U.K. crown dependencies and territories (there were over 100,000 in the British Virgin Islands alone). After years of negotiations, many of these jurisdictions have agreed to have a central registry of beneficial ownership that is open to law enforcement but not to the public. In terms of transparency, this is immense progress. However in the fight against tax evasion, corruption and money laundering, this means companies cannot be investigated unless under suspicion. Even in the EU, where there is no argument that progress towards transparency has been exceptional, Malta, which holds the rotating EU chair until July, said the proposed reforms to the fourth Directive would increase uncertainty, harming international investment and trade. Malta and other smaller EU states with low tax regimes have repeatedly showed caution in the push for reform, fearing multinationals headquartered in their territory may leave. Lastly, we cannot talk about loopholes in transparency without discussing the U.S. In defending the U.K.’s decision to not strong-arm their crown territories to have a public register, James Duddridge, a junior Foreign Office minister, said it was only fair to congratulate the territories on their “superb progress”, especially as some states in the U.S. continued to allow companies to be formed without the need for a registry of beneficial ownership. It is true that states do not collect this information; their reasoning is that it is collected elsewhere by financial institutions, by the Financial Crimes Enforcement Network FinCEN and the IRS. In addition, states fear that any action on their part towards imposing beneficial ownership requirements would allow a different state to become a more preferred incorporation jurisdiction. In December 2016, The Financial Action Task Force (FATF) issued its report on the U.S. regarding anti-money laundering measures. The report can be found here. There were a number positive remarks regarding the U.S.’s cooperation with other countries. However one of the most significant weakness discovered was lack of information on beneficial owners. Whereas progress undoubtedly has occurred around the world and here at home (among other initiatives, enhancing our Customer Due Diligence laws so that financial institutions have to identify and obtain information on beneficial owners), there is much more to do. There have been many ideas put forth on what to do, such as making companies publish their tax returns and requiring gatekeepers like the real estate industry to determine beneficial owners and source of funds. Whatever the solutions and however slow the progress, one thing is inevitable – the world is moving in the direction of corporate owner transparency.